Bandon Beach Oregon is a beautiful setting of sea stacks surrounded by a gently sloping beach of fine sand. The waves were pretty tame this day but I can imagine the burst of energy when a heavy surf slams against the sea stacks. 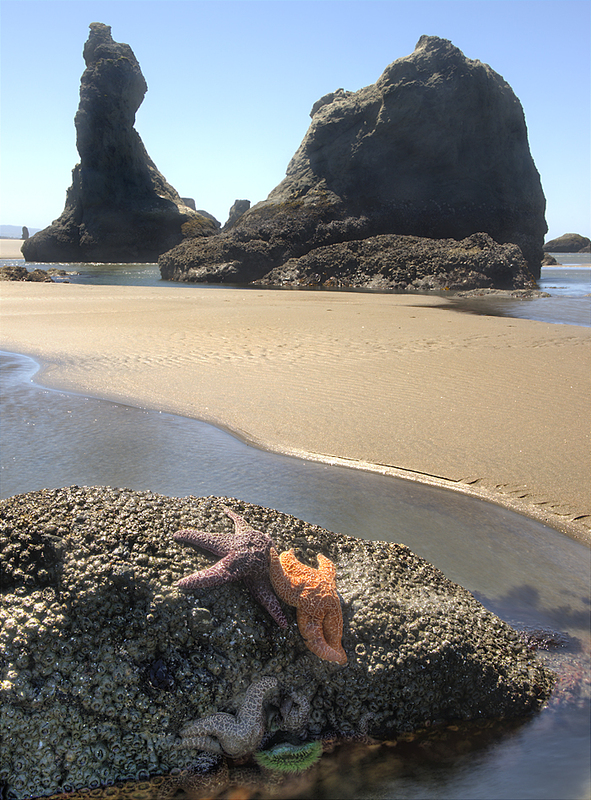 During low tide it’s easy to spot colorful starfish and sea anemones, just watch for a slowly sinking tripod while shooting in the water soaked sands. I came across your website and would like to inquire how much it will cost to purchase the “Thor’s Welll” photo?